Stress is the primary way in which our bodies respond to perceived threats and demands. In itself, stress is extremely beneficial and can help us stay alert and focused, but consistently elevated stress levels are extremely taxing on the body. Stress can cause a number of unpleasant symptoms, and one of the most harmful is suppressed testosterone levels. 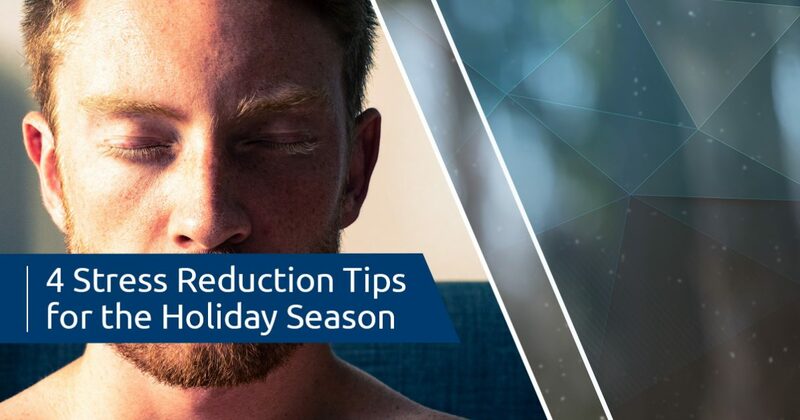 We know that many of our readers are already feeling stressed with the holiday season just around the corner, so in today’s post, we’ll provide you with four easy stress reduction tips you can incorporate into your life this holiday season. If you would like to learn more about testosterone replacement therapy or any of the other men’s health services we offer, call 520-399-6574 or use our online contact form to request an appointment. Read on to learn how you can reduce your stress levels in the coming weeks! Daily meditation has been shown to change the brain’s neural pathways in many ways, and an increased resilience to stress is one of the most beneficial. Even a short, five-minute session in which you focus on your breath can help your body and mind become less tense. After several months of consistent practice, you’ll likely find that you’re more resilient to stress and generally feel more content and centered in your day-to-day life. Between shopping for your friends and family, preparing your home for guests, and taking care of last-minute travel details, it’s easy to forget to make time for yourself. Make time to do something you love each day, even if it’s something that only takes 10 or 20 minutes. Whether it’s turning on a rerun of your favorite show or making a cup of your favorite tea in the evening, you’ll find that your overall happiness increases when you carve out time in your day for personal enjoyment. As we discussed in a previous post, regular exercise is one of the most beneficial gifts you can give to your body. In addition to boosting your testosterone levels and burning off those holiday calories, exercise also releases endorphins that promote a sense of well-being and contentment. If you don’t normally exercise, then start slow and speak with one of our men’s health experts about how you can keep yourself safe while undertaking a new exercise regimen. With the peak business of the holiday season just around the corner, it’s important to ensure that you’re giving your body the rest it needs to take on the day. No matter how busy or hectic your days end up being, aim to get at least seven hours of sleep each night to keep your body functioning optimally. If you would like to learn more about the connection between sleep and your testosterone levels, then be sure to read through one of our previous posts in which we take an in-depth look at the topic. We hope that this post will help you manage the stress of this year’s holiday season. If you would like to learn more about testosterone replacement therapy or any of the other men’s health services we offer, then fill out the form below or come to our office at 3395 N. Campbell Avenue. We look forward to seeing you soon!